Set in modern-day Britain, HARRY BROWN is one man’s journey through a chaotic world where teenage violence runs rampant. As a modest, law abiding citizen, Harry Brown lives alone in a flat. When his only friend is killed, Brown reaches his breaking point and decides to get revenge. Brown is a retired marine who had violent dealings with the IRA when stationed in Belfast in the 1970s, so he approaches his task with military precision. Michael Caine is 77 years old in real life and not perhaps the natural choice for the lead in a film with so much action and violence. However it’s the vulnerability of old age that is the springboard for the story. The elderly flat-dwellers who live in the estate where Harry also has his home, are like prisoners because the drug-dealing gangs have control of the stairwells, walkways and lifts. We feel concerned for Harry Brown throughout the movie because the young, violent thugs he is pitted against are so much more powerful than he is. The film has a grimy look and shows us a world of urban decay, however we’re shown slightly glamorous movie grunge rather than documentary filth. Although HARRY BROWN is inspired by the headline violence we see reported constantly, this is not supposed to be a realistic film about how tough it is living at the bottom of the social ladder in London. Like any revenge fantasy this movie is about wish fulfilment. Or if you really like the films of Michael Winner and Charles Bronson, Death-Wish fulfilment. 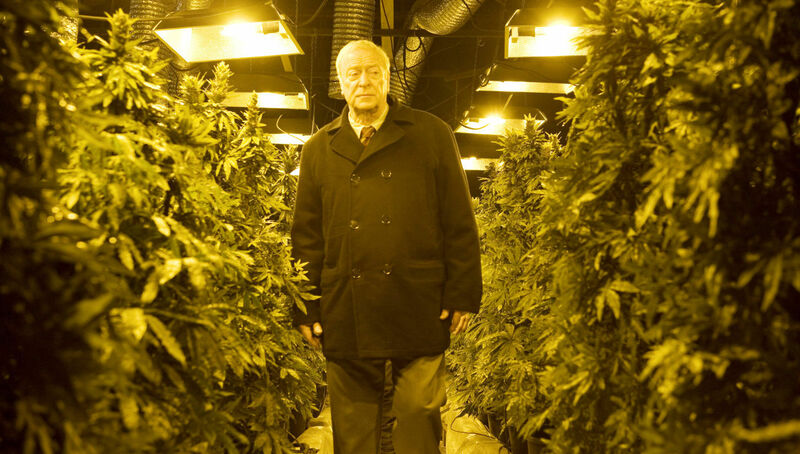 Michael Caine is good. Michael Caine is always good. The supporting cast is strong and there are no weak links. Emily Mortimer plays the police detective who begins to suspect Brown is responsible for dispensing Wild West justice on the estate, but her colleagues dismiss her theory because of how frail the old man seems. HARRY BROWN has been described as a British take on GRAN TORINO. Audiences who go looking for this, may be disappointed. The comparison is valid because both movies have an elderly hero fighting a gang of younger foes, but GRAN TORINO is a flat out funnier film than this one. HARRY BROWN has to be enjoyed on its own terms. This is a revenge film with a body count. It’s the film you want to see when you need to chill out with a violent story where the little guy ends up kicking arse. If you want to see Michael Caine, in his autumn years, playing a man who wreaks havoc on a crew of highly dangerous, disgusting young criminals, then folks, this is the movie for you.